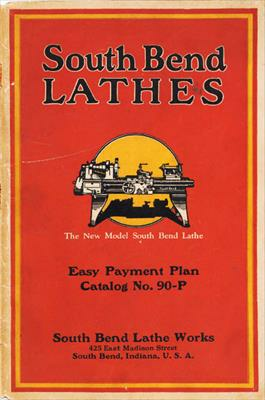 Publication Title: 1929 South Bend Lathes, Easy Payment Plan Catalog No. 90-P New 1929 Easy Payment Plan- like Cat. 90-A, but prices show 20% down and amount of 12 mo. payments + 5% carrying charge.